We are the Southeast Asia office of the world’s fastest growing media group, The Epoch Media Group, which is based in New York City. We bring you interesting information from around the world. As we share world events with you, we also hope to re-kindle universally-held values and virtues as they fade in this modern day and age of fast-moving technology and information explosion. 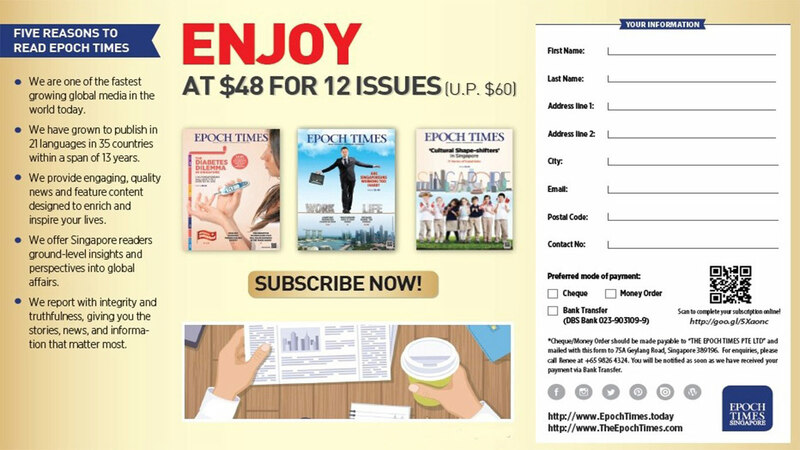 If you like our online site, you will definitely find our hardcopy edition worthy of ownership. They are available in Kinokuniya stores but you can also subscribe and have it delivered to you. Subscribe online now! $48 for 12 issues! 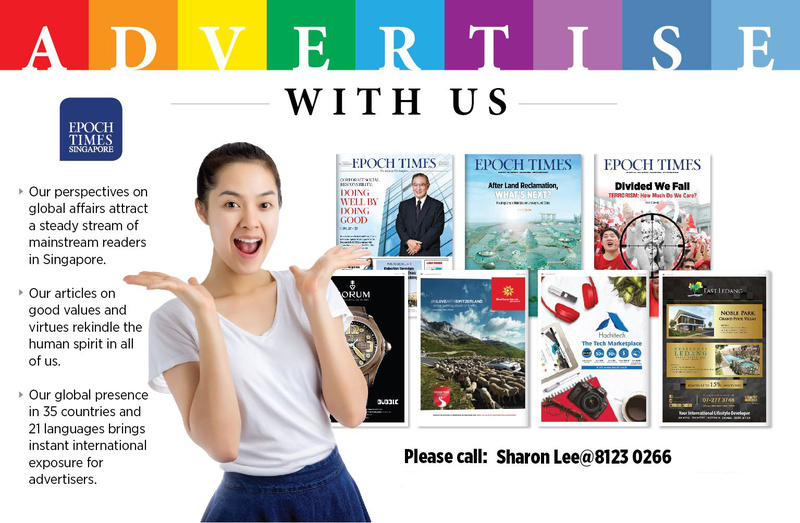 If you prefer to pay using bank transfer or cheque, kindly contact renee.wong@epochtimes.com.sg for more information.